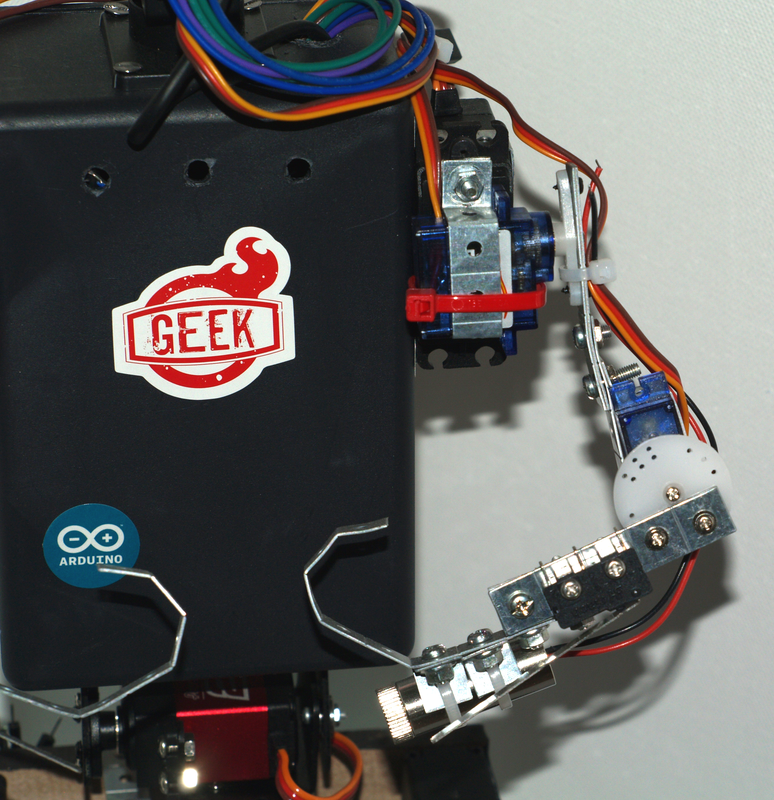 This post is a quick update on the Geek robot build so far. A fair amount of trial and error and a bit of experimentation has consumed a lot of my time in the construction thus far. I believe this build will still take a long time because of the vast amount of tasks that still needs to be completed. So here is a quick view of the robot so far. 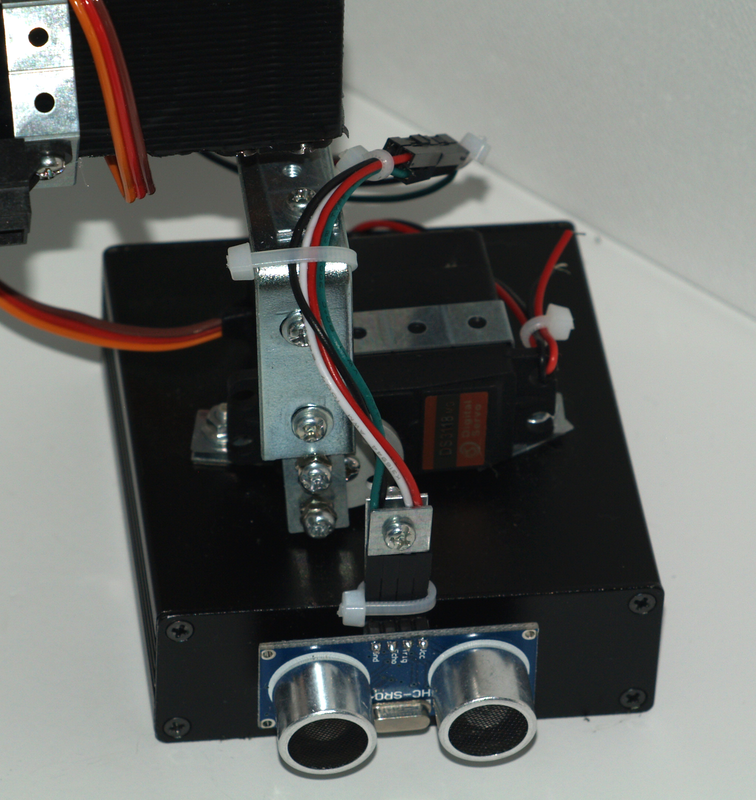 Two micro servos (1.3kg per cm) in the neck in a mini pan tilt plastic mounting. Two servos (one metal gear 20kg per cm and one 18kg per cm) in the robot waist in a pan tilt metal mounting. Each arm has three servos (a 18kg per cm servo in the shoulder and two 1.3kg per cm micro servos for the rest of the arm movement). 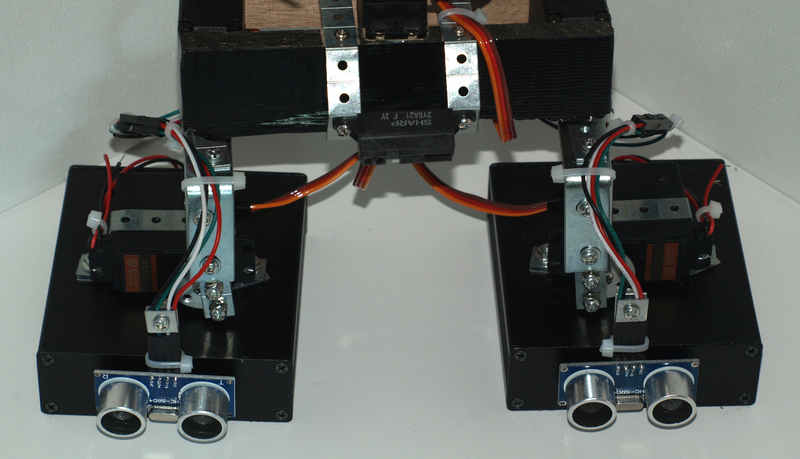 Each leg consists of two servos (18kg per cm). The robots’ feet are aluminium housings that will contain the batteries that will power the robot. This is to keep the weight at the bottom of the robot, thus helping to balance it. I am still investigating the exact battery configuration to use as I would prefer a rechargeable option. I used a fair amount of Timiya universal metal joints during the assembly so far and these are very handy in building any robot. The robot currently has two ultrasonic sensors and one infrared distance sensor. The ultrasonic sensors are mounted on the front of the feet for obstacle detection and the infrared distance sensor is mounted on the front of the robots’ hips and will be used to detect vertical drops. I plan to mount another ultrasonic sensor and infrared distance sensor on the robots’ back, to allow for the robot to avoid obstacles when it moves backwards. The robot has a laser diode attached to its one arm, which I intend to use for pointing as well as a point of reference for the webcam. The next task I will be undertaking will be to start wiring the robot to the Arduino Mega R3 and Raspberry Pi 2 that I intend to use to control the robot. I will post more blog updates as progress on this robot advances. Currently there are numerous Arduino and Arduino compatible boards available, this post will do a quick comparison between 3 of these boards (Arduino UNO R3, Arduino Mega R3 and the Beetle which is a shrunk down version of the Arduino Leonardo) and then also a quick comparison between Arduino and Raspberry Pi Board Families. The Arduino UNO is a good starting point for anyone interested in beginning some Arduino builds, it is a good all round board for most projects and the only real constraint that I have ever run into with this board is running out of digital I/O and Analog input pins for larger projects. The Arduino Mega overcomes this problem by offering more than double the pins. From a development and ease of use point of view it is almost identical to the UNO. The Beetle has the least amount of pins exposed, 6 in total, 3 digital and 3 analog, so this can be a serious constraint on the nature of project it can be used for. On the other hand its tiny size makes it possible to use this board in projects where physical size is a constraint (Such as the Insect bot I posted about in an earlier post). 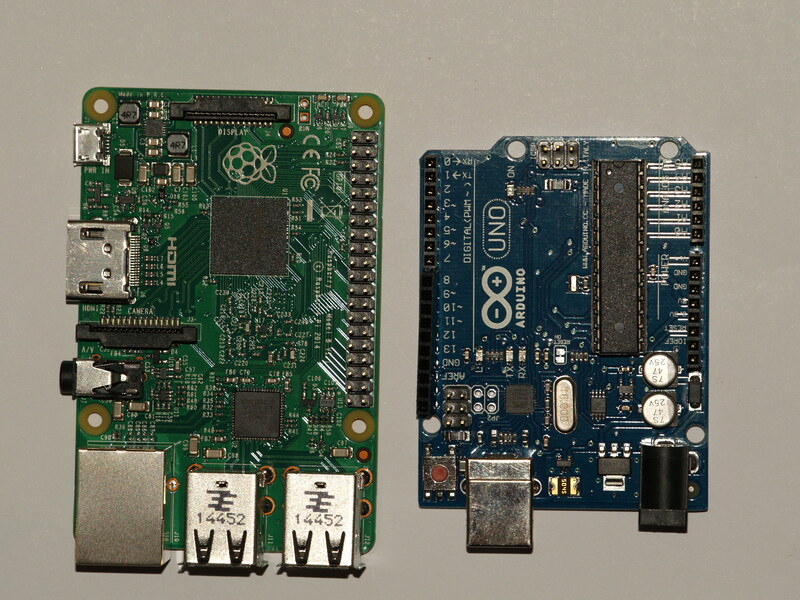 Now lets look at the Raspberry Pi (Raspberry Pi 2 B to be precise) in comparison to the Arduino boards. 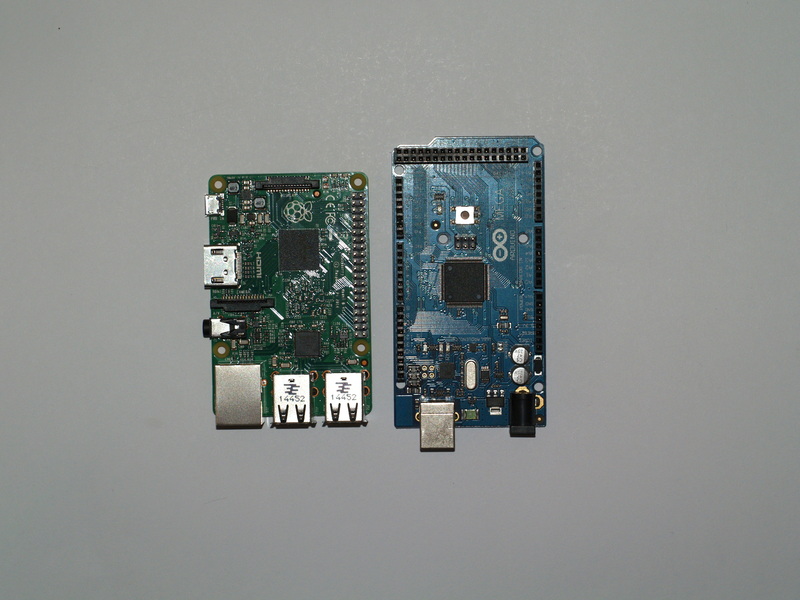 Below are 2 Pictures showing its size in comparison to the Arduino UNO and Mega. The Arduino boards tend to cost a lot less than Raspberry Pi boards. Raspberry Pi Boards have vastly more memory. Raspberry Pi Boards again win this one by a huge margin. Arduino Boards make direct hardware interfaces with sensors and actuators much easier. Both have a strong and thriving online community for help and support. Arduino is C only using the free Arduino IDE where as the Raspberry Pi has a variety of development options, including Python, Java, C, C++. The Arduino makes hardware interfacing with sensors and actuators a great deal easier. However the Raspberry Pi offers vastly more memory and processing power. So which one to use depends very much on your projects’ requirements. To put it simply there is no right or wrong choice, use what works for you or simply what you want to use. This does however not mean that you cannot use both on a single project by setting up serial communication between the 2 boards. 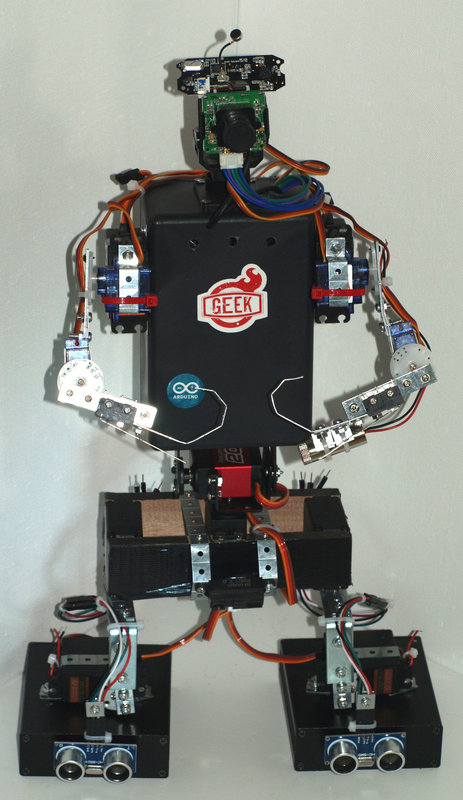 I am currently busy doing this on a project (see The Geek under the THE KILLER ROBOTICS FAMILY SO FAR! post). The Killer Robotics Family So Far! This Killer Robotics Family currently consists of 2 complete robots and 1 work in progress. 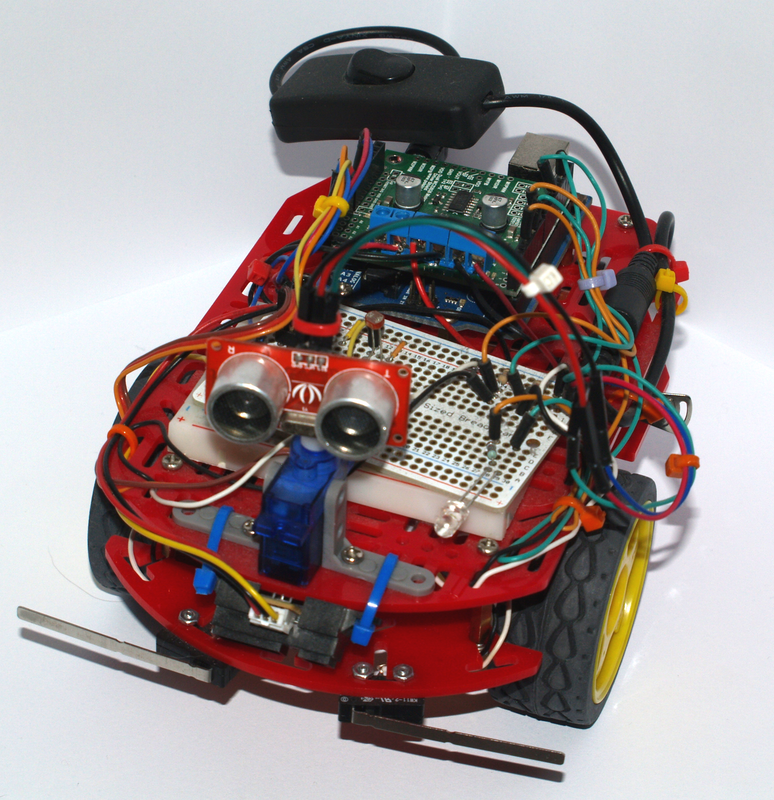 This robot was built on a Sparkfun Magician Chassis and uses a Arduino Uno R3 with a Pololu MC33926 dual motor controller, a HC-SR04 Ultra Sound Distance Sensor (On a micro servo for neck movement), a Sharp IR distance sensor to detect drops, and 2 trigger switches to detect direct contacts with objects. This robot autonomously roams avoiding objects and drops. I will provide a full breakdown on how this robot was constructed as well as the source code running on the Arduino in a future post. 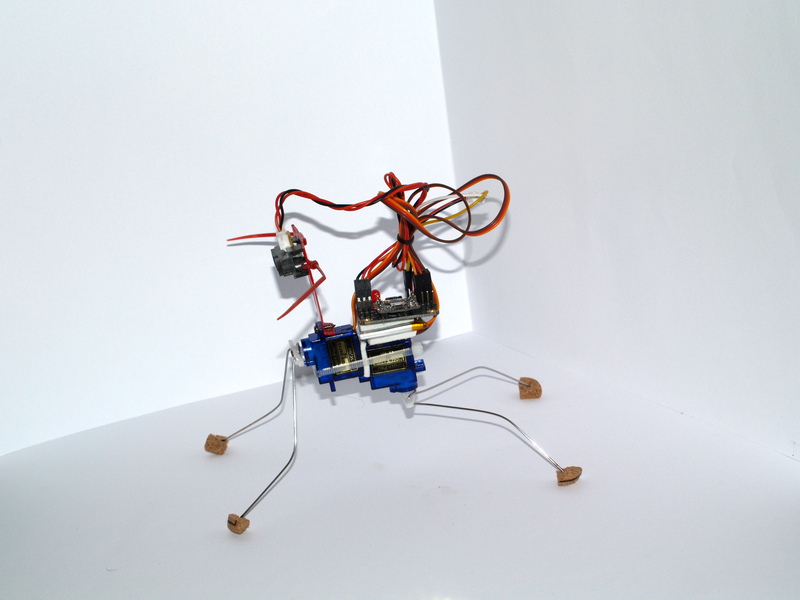 This Robot was based on an Instructable article posted by Lumi3005 (http://www.instructables.com/id/Insect-Bot-mini/). It is based on a Beetle board (basically a shrunk down Arduino Leonardo) with 2 micro servos and a IR distance sensor. This robot walks around avoiding obstacles. I will be posting a review and build step-by-step guide for the DFRobot kit of this robot in the near future. This robot is still a work in progress and is by far the most ambitious robot that I have under taken. 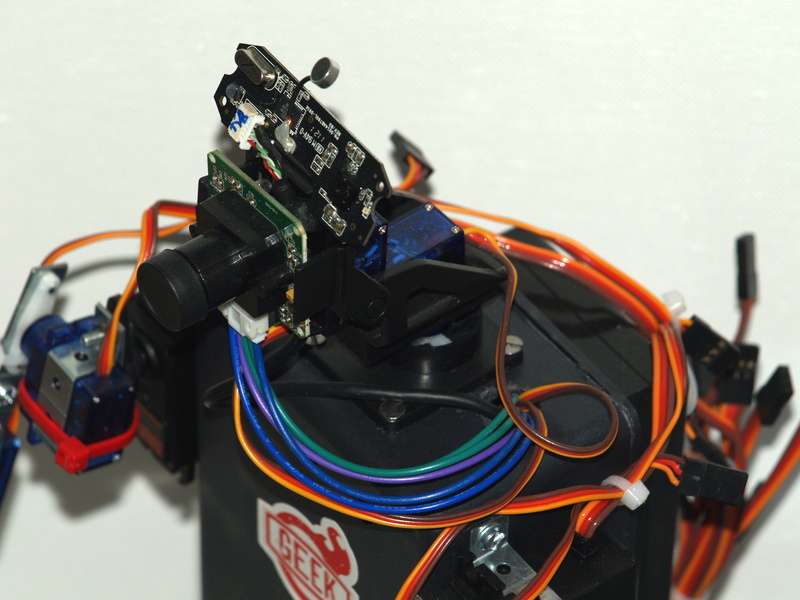 It utilises 16 Servos, will utilise 3 ultrasound distance sensors and 2 infrared distance sensors, 2 cameras (a Arduino Camera and a Logitech web cam) and will be powered by a combination of an Arduino Mega R3 and a Raspberry Pi 2. Many posts revolving around this robot, such as progress, lessons learnt and build instructions will follow in the future.